Designing custom millwork that incorporates your specific storage requirements, lighting and finishes greatly adds to the custom look of a space. Hilary Bailes Design (HBD) works closely with the client to help define the requirements and then creates design options to the scale of the space to review with the client. HBD works with top cabinet makers and artisans to oversee detailing, pricing and finish samples to insure each piece works with the overall design and decorative concept. 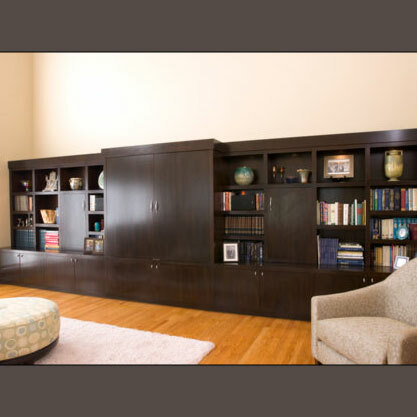 Past projects incorporating custom woodworking have included kitchen and bathroom design, home office desks and storage, corporate office reception desks and cabinetry, restaurant design, media storage, bookshelves and fireplace surrounds.